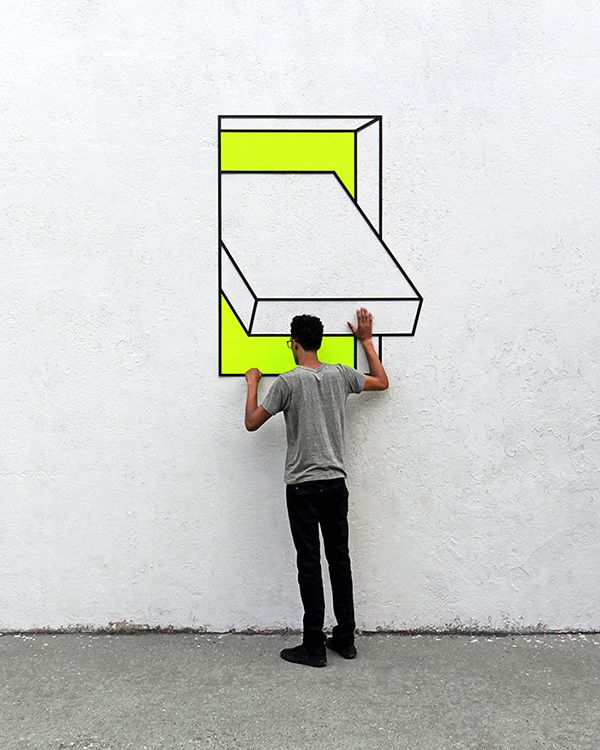 New Yorker Aakash Nihalani is a master with tape, using it to create eye-catching optical illusions. 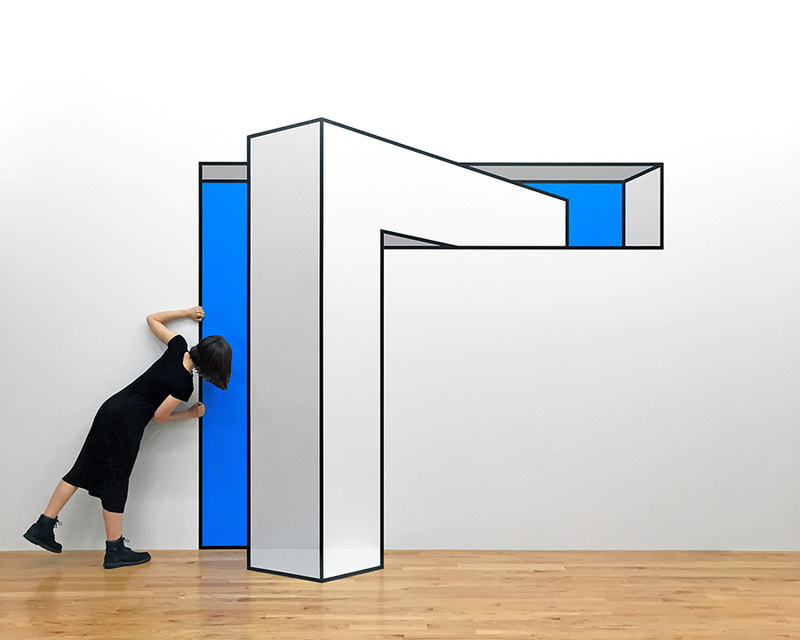 Born in 1986 in Queens and currently based in Brooklyn, Nihalani was dazzled when he first came across the minimalist urban architecture of a major city, describing it as “big boxes, filled with smaller boxes – an endless network of cubes.” Nihalani’s work reacts to the spaces many of us encounter everyday. “I came upon tape sort of by accident,” he tells us. 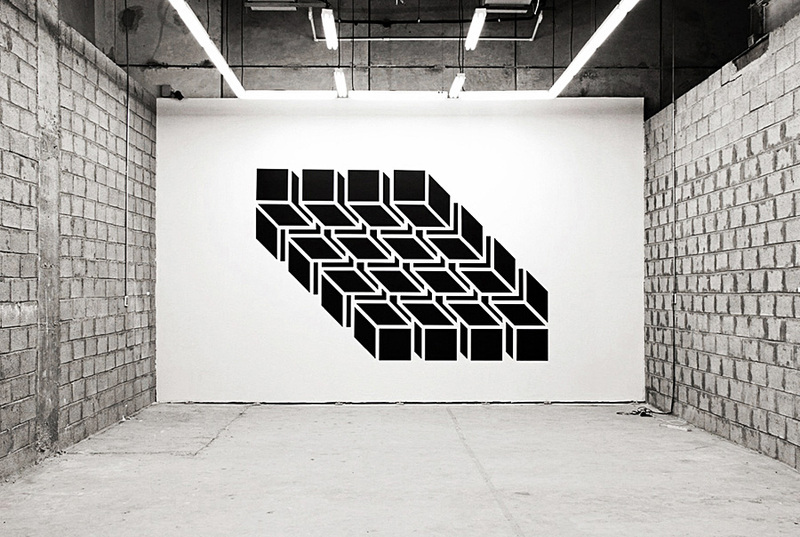 “I had a painter’s roll that I was using to stick some screen prints on wall for a student exhibition. There was a pedestal in the space that was casting a shadow on the floor that matched the shapes I was using in my prints, so I instinctively outlined the shadow with the tape in my hand.” The rest, as they say, is history. 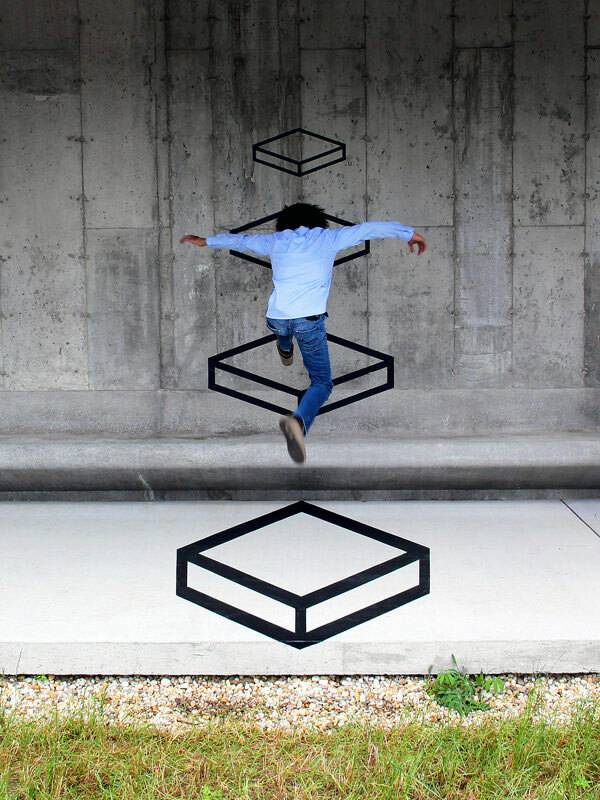 And don’t forget to check 10 Crazy 3D Optical Illusions Which Will Blow Your Mind.